Jeon is made on every special occasion in Korea such as lunar New Years, jaesa (ancestral memorial services) and parties. It can be made with any ingredient you like such as fish, shrimp, mushrooms, vegetables and meat by simply coating it with flour and an egg wash. You can stuff mushroom caps or chili peppers with a meat mixture as well. 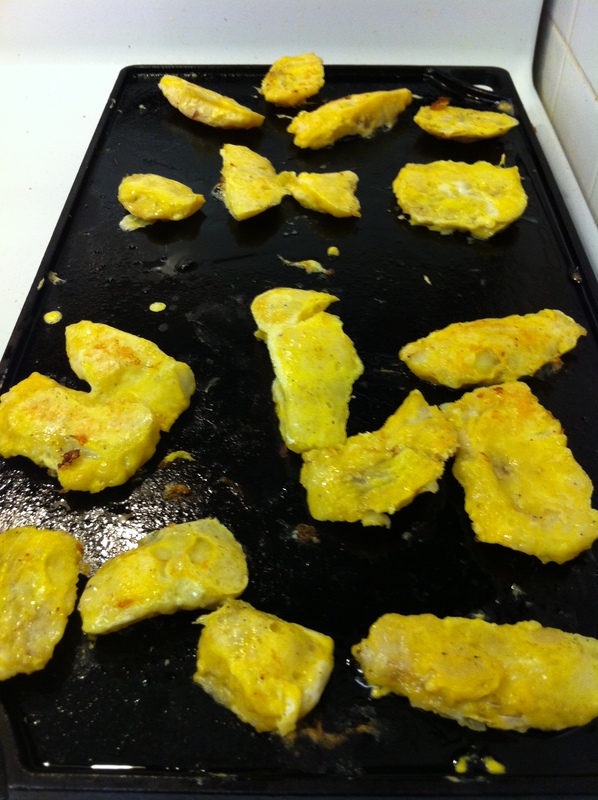 Jeon also includes Korean pancakes that are made with a batter mixed with anything from seafood, scallions or kimchi. This dish is very easy to make but requires a little patience and time since you have to coat individual pieces with flour and egg wash then fry each of the jeons. 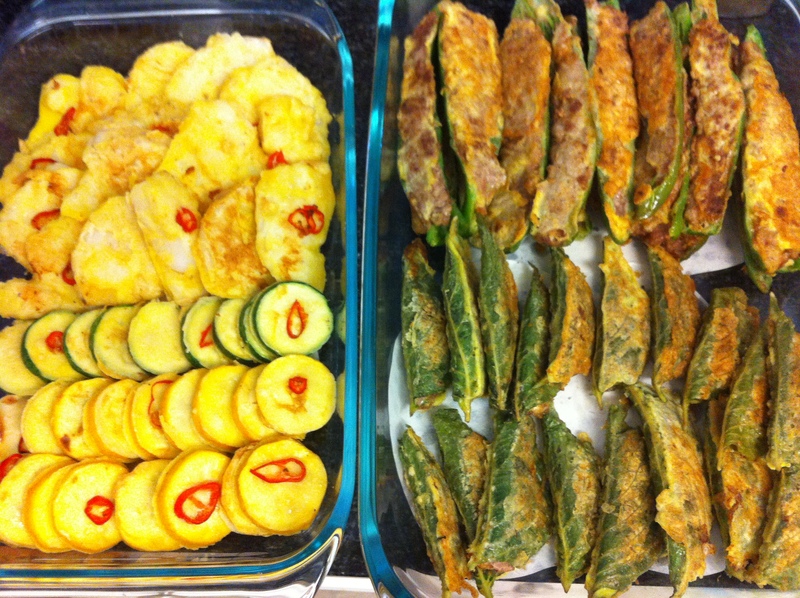 I will introduce two popular and the most basic jeons today; aehobak-jeon (애호박전, zucchini jeon) and dongtae-jeon (동태전, cod fish cakes). Defrost the cod slightly. 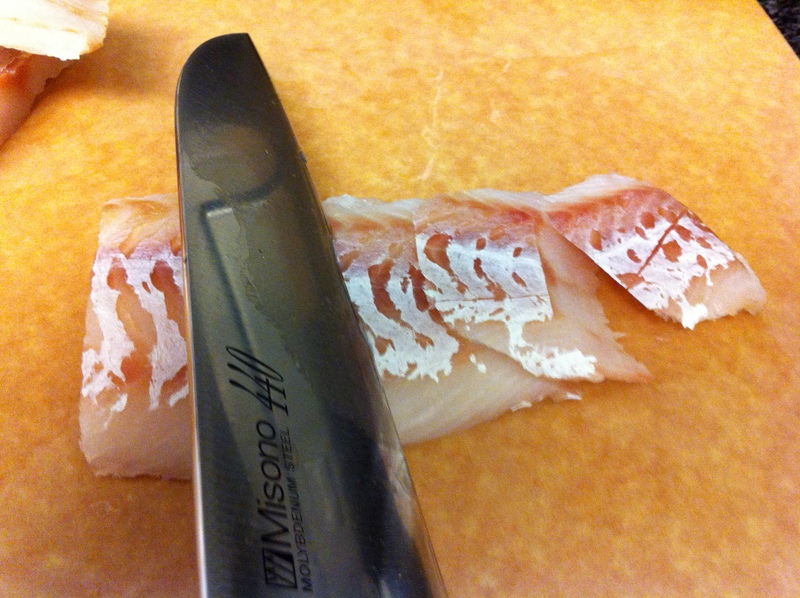 I find that cutting the cod when it is still slightly frozen is easier when still a little firm than when it is completely defrosted. Cut into bite sizes diagonally against the grain. 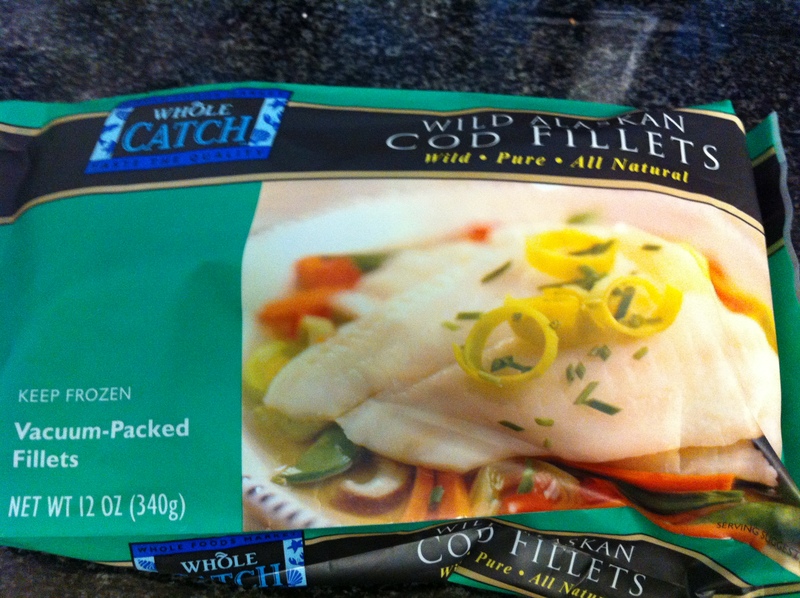 Let the cod defrost naturally in room temperature for a few minutes. Wipe off any excess moisture. Sprinkle the fish with sake or mirin and a pinch of salt and black pepper. 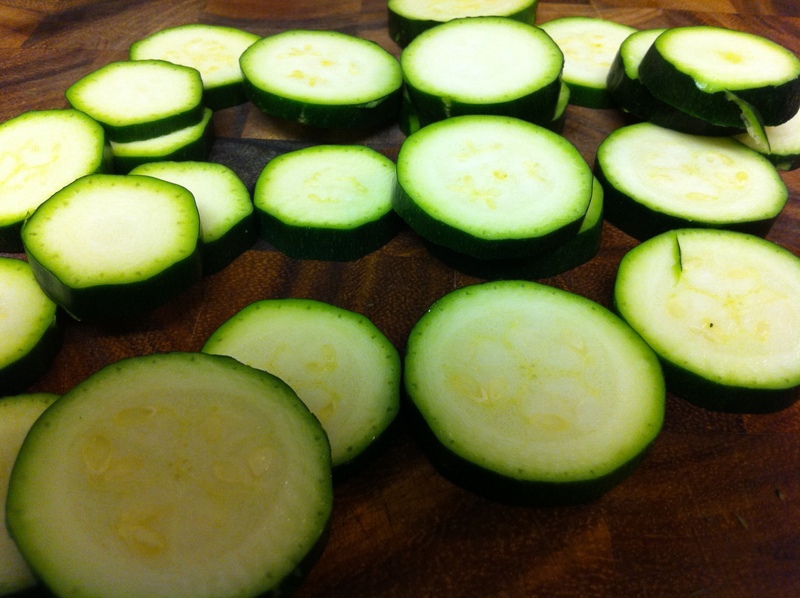 Sprinkle a little salt on the cut zucchini. Heat a large skillet or a griddle pan on medium-low heat. Cover a thin layer of vegetable oil or olive oil by spreading the oil with a paper towel. 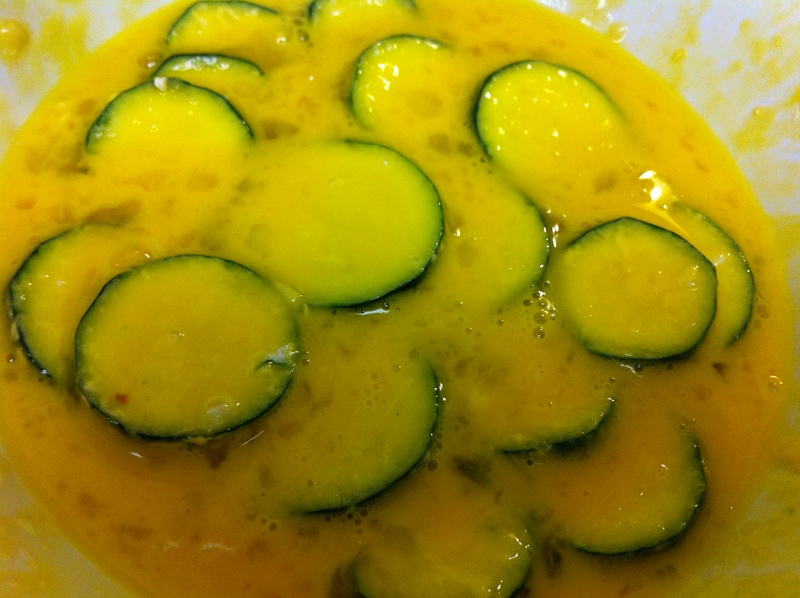 Place the flour in a large bowl next to a large bowl of beaten eggs. You may want to run the beaten eggs through a sieve to make it smoother (this is optional). 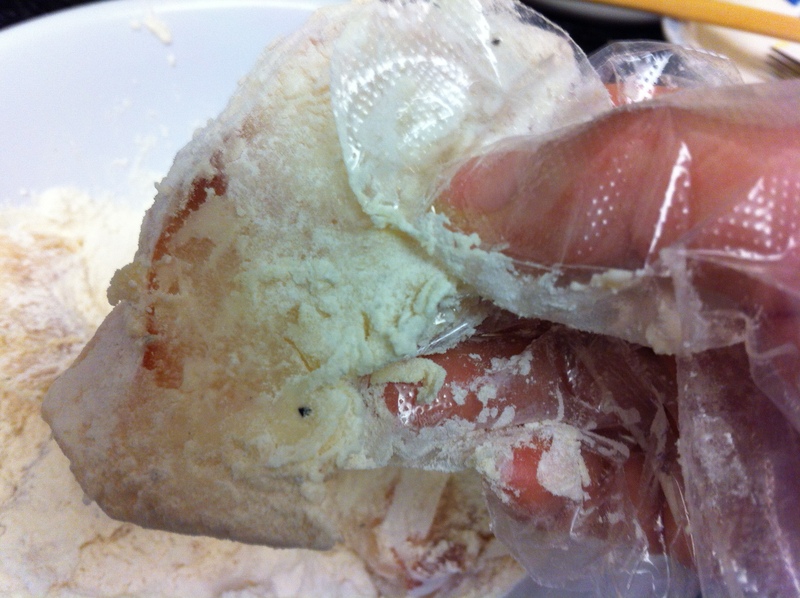 Cover the cod with flour a few at a time. 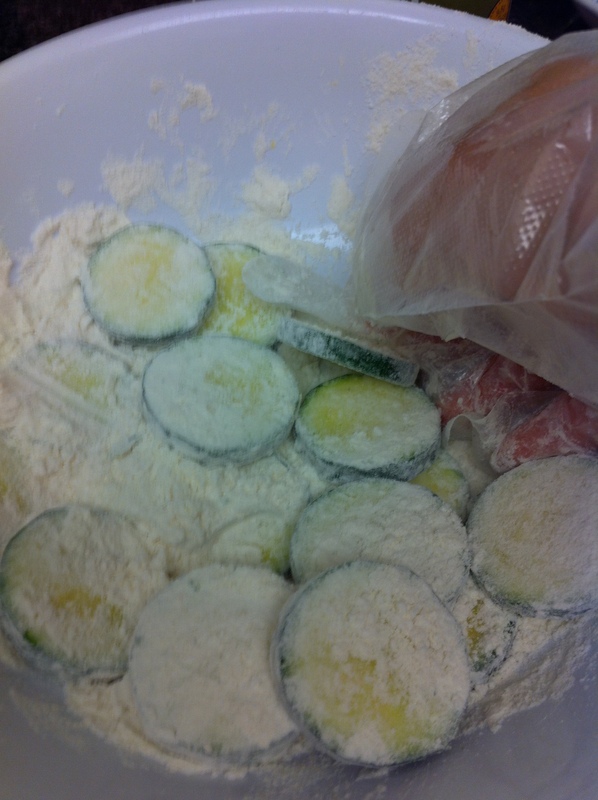 Tap off excess flour on the edge of the plate and dip it in the egg wash one at a time. Once you have a few cods in the egg wash, tap the cod covered with egg wash once more to get rid of the excess egg. 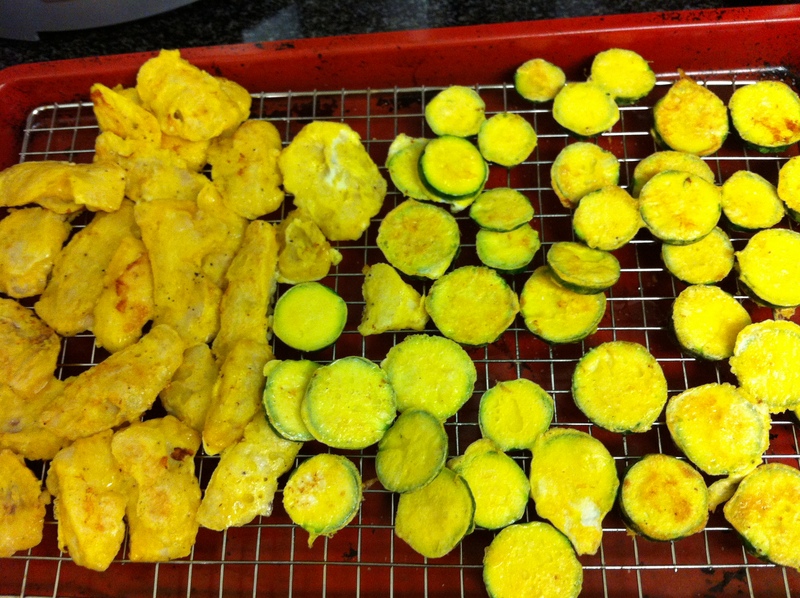 The key to making a good jeon is to tap off excess flour and egg wash at each stage to get a thin coating. 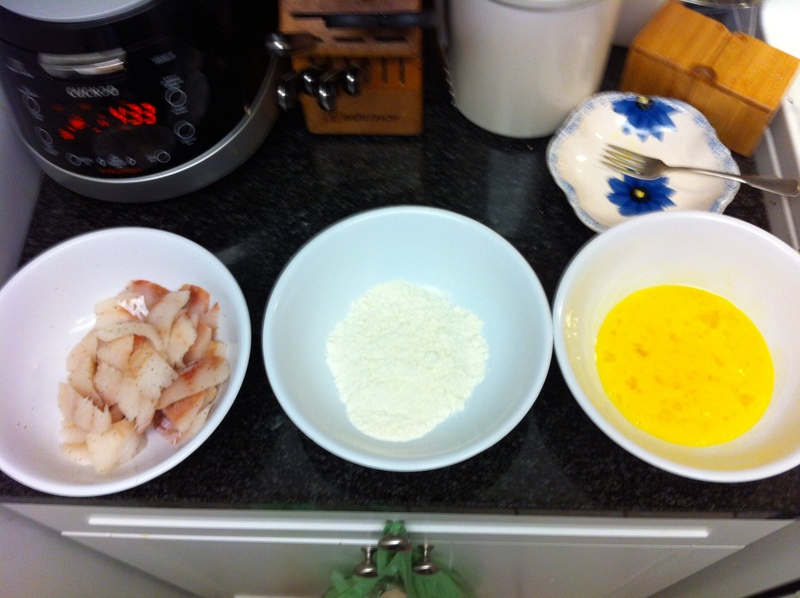 Gently place the flour and egg wash covered cod one at a time on the skillet or griddle. Try not to move it once it hits the hot surface because the coating may fall apart. 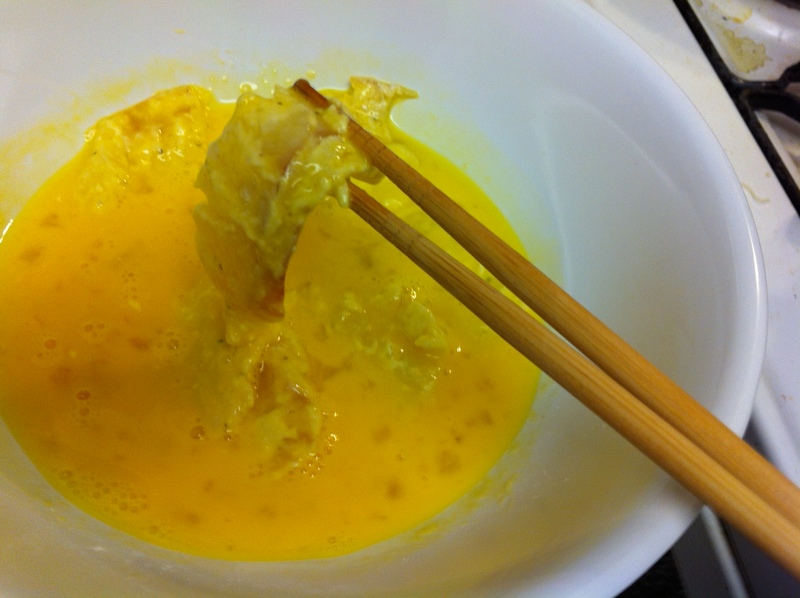 Cook until the egg wash is fully cooked but not browned. If you want to be super fancy, you can carefully place red chili pepper pieces and/or ssook (쑥, Korean mugwort) or parsley leaves on the uncooked side of the jeons. This stage is optional. 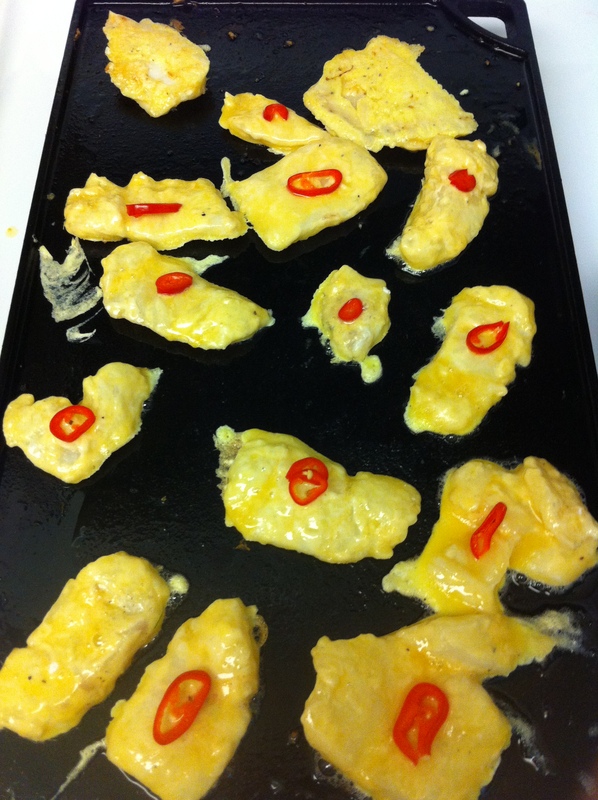 Flip the cods and cook for a few more minutes until the opposite side is cooked. Place the cod jeons on plate. Wipe of the excess oil and repeat step 5. 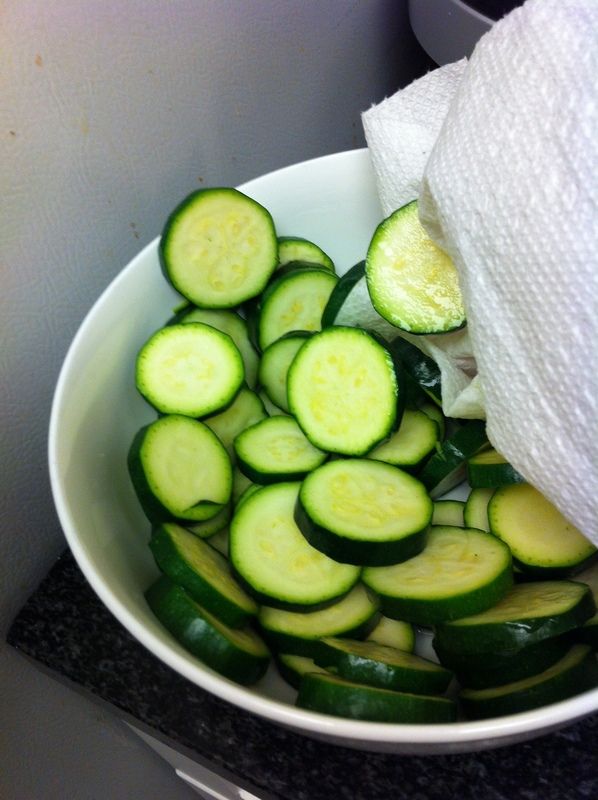 Wipe off moisture from the zucchini with a paper towel. Repeat steps 7, 8 and 9 with the zucchinis. Serve with a mixture of soy sauce and vinegar, about 3:1 or 4:1 ratio of soy sauce to vinegar. You can make this ahead of time and store it in room temperature for a few hours or the refrigerator depending on how long you make it ahead of time. To reheat, I like to place it in the oven on about 225-250 Fahrenheit degrees or 100 Celsius for about 10 minutes depending on how cold the jeons are. You may also refry them in a little oil. If you have a lot of leftovers, you can also store it in the freezer. 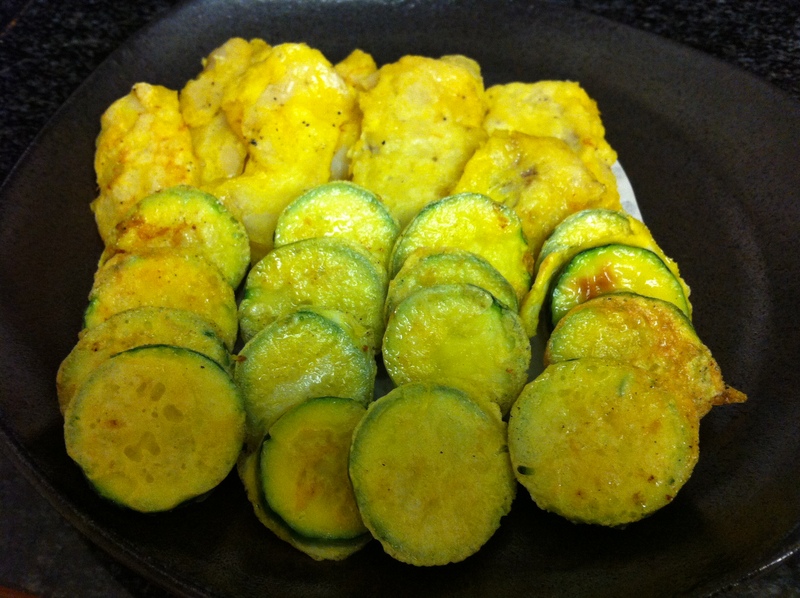 This entry was posted in Appetizer, Banchan (반찬, Side Dish), Good for dinner, Good for lunch, Main Dish, Seafood and tagged cod, frozen cod, 전, jeon, zucchini by gangnamkitchen. Bookmark the permalink.